Anti-vandalism stand-alone keypad, 1 relay, 60 codes programmable. 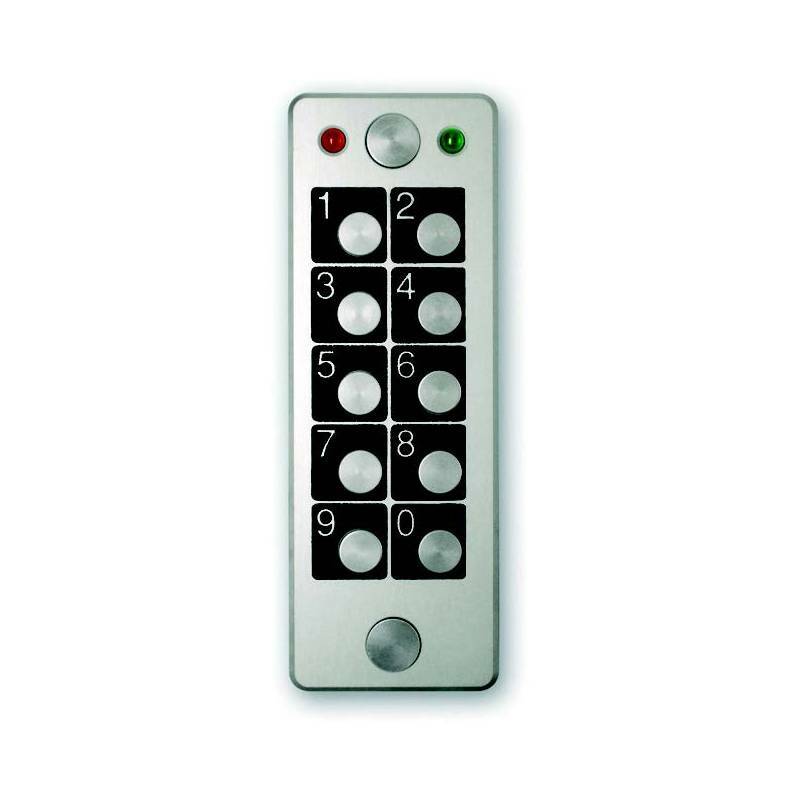 Anti-vandalism keypad with integrated electronic. 1 relay: 2 A ÷ 30 V.
Relays with permanent or impulsive contact. 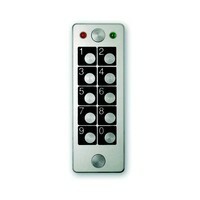 1 red LED for programme mode + 1 green LED free for the user. Electronic circuit fully potted IP 67. Protection for the fixing screws. Size: 120 x 42 x 20 mm.